I went to the studio for solo practice on Sunday; it was the first time in weeks. After surviving my dance lesson last Tuesday with just a bit of swelling beneath the knee caps and hardly any aching the next day, I was optimistic. Plus, I needed to practice! My competition goal has now shifted to an event in July, but I’m still only taking one lesson a week. Solo practice is more important than ever. My optimism wavered when my knees started to ache as I moved around my apartment in the morning preparing to leave. I liken it to when you’re recovering from the flu and even though you’re finally feeling normal again, you’re wiped out in ten minutes when you try to act with your normal exertion of energy. Your body is like, “chill out, dude, you’re only recovered enough to feel normal when you’re not doing anything.” I had a meeting with Rx Ballroom Dance anyway, so I still went for my solo practice. I started off with reviewing my Waltz choreography and then moved to Tango. I didn’t feel like I was going too hard, but maybe I danced closer to full out than I should have. Practice lasted about 30 minutes before I had to admit that my knees were sending the “too much” signal. I saw my PT on Monday evening, and she wasn’t surprised. I still have a lot of fluid buildup in my knees, so even a half hour of practice can push me to the point of pain. Talk about frustrating. In other, more exciting news, The Solo Practice Guide for Ballroom Dancing hit #9 in the ballroom dance category on Amazon this weekend! At the same time, if your book isn’t high ranking, it isn’t as likely to show up when people are searching or browsing categories. So if I want to reach more people with The Solo Practice Guide, I need it to rank well. Reviews also play a big factor. If someone new found the Guide and saw it had six 5-star reviews (thank you everyone who posted! ), there’s a higher chance they’ll take a closer look and maybe even hit the buy button. Amazon also likes products that get a lot of reviews, although it raises an eyebrow at products that get nothing but 5 stars. Hey, is it my fault everyone who’s read the Guide loves it? Circling back to dance, my lesson this evening went as well as it could. We worked on solidifying the counts for Tango and figured out the details of some cool moments. I think it took more mental power for me to hold back and just mark steps than it did to keep up with the super fast timing in parts of the routine. I wanted to go to a workshop right after my lesson, but my knees were clearly swelling so it was straight home to ice and elevate. The name of the game now is patience. As my PT said to me yesterday, this is a process. There will be ups and downs. I need to be ok with taking it slow and easy. Who knew “taking it easy” would be so hard? P.S. 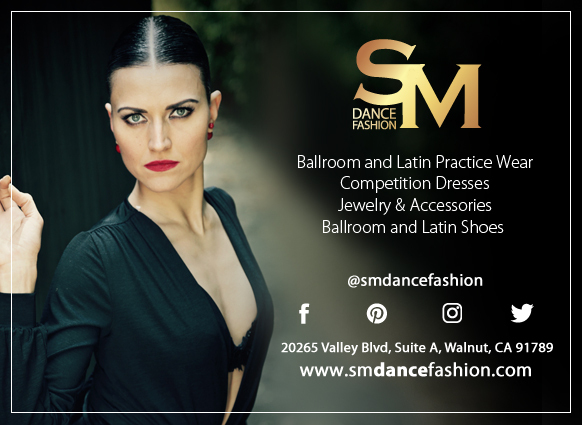 for readers of The Solo Practice Guide for Ballroom Dancing – Would you take a few moments and leave a review about your experience with the Guide on Amazon? Help me reach more dancers who are ready to exchange doubt and frustration for confidence and joy!